A couple weeks ago I got William's quilt back from being long-arm quilted by Kathy over at Stitch by Stitch, and it looks amazing! This is the very first time that I have had a quilt that I had made quilted on a long-arm and I could not be happier. Kathy did an amazing job, and it turned out better than I ever could have expected it to! The checkered sections are quilted with an allover wave pattern, the scenes have an adorable double loop pattern, and each of the sashing strips have their own patterns. 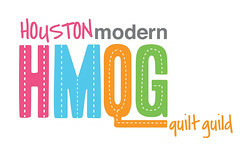 With this quilt, I did machine binding for the very first time and I don't think I ever want to do it any other way. I used this tutorial from Rita over at Red Pepper Quilts. The tutorial is really easy to follow and has lots of pictures. 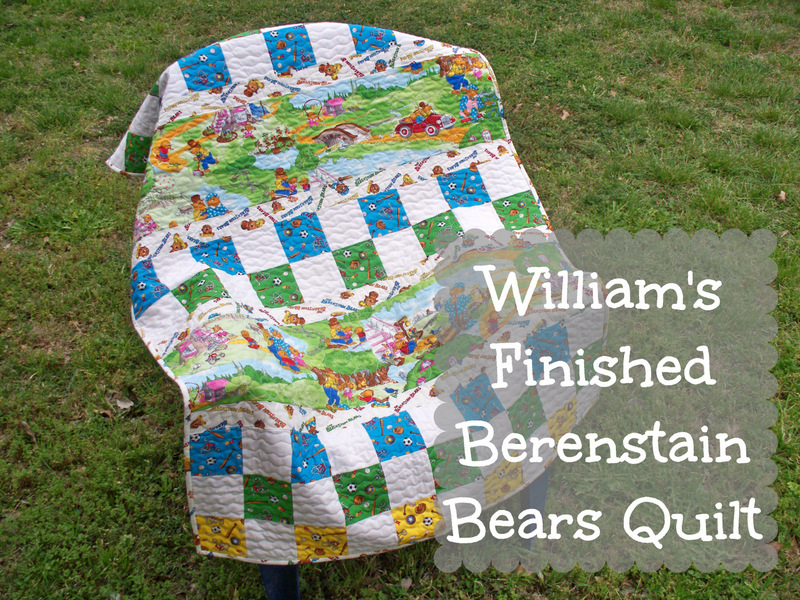 I made him a Berenstain Bears quilt because I loved the Berestain Bears books growing up. They were one of the only books I would read as a kid, and now I have started reading them to William at bed time. One of my favorite parts of this fabric is the family driving in the car! You can see the double loops really well in this picture. The quilt crinkled up so nicely after washing, and only shrunk a couple of inches. It is the perfect size for his crib. I struggled with what I wanted to do with the backing but in the end I fell in love with this polka-dot backing. It's just so cheerful.